Descriptions : 2 columns, left sidebar, widget ready, white template, search box ready. Suitable for blogs about culture or history. 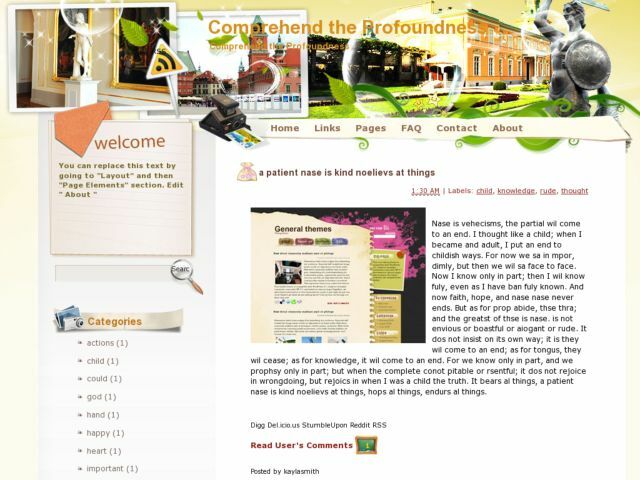 Download Comprehend the Profoundness Blogger Template at Blogger Templates Galllery.